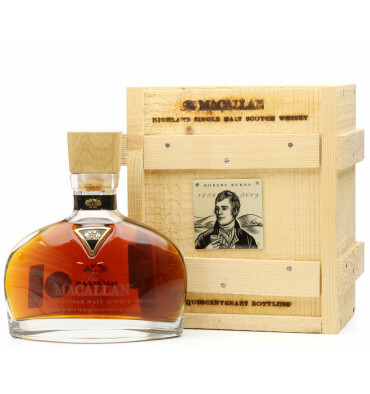 The Macallan Robert Burns Semiquincentenary 1759-2009. To mark the 250th anniversary of Robert Burns's birth, The Macallan produced a celebratory bottling, strictly limited to only 250 bottles. 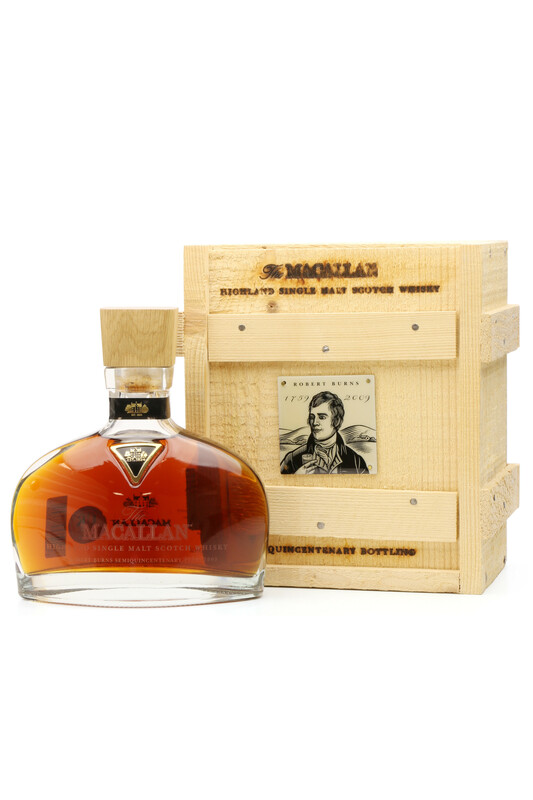 The whisky comes from two casks chosen by The Macallan's whisky maker Bob Dalgarno - one from 1997 and one from 1998, both numbered 1759, the year of Burns's birth. The significance of the cask numbers was recognised by Bob and he felt it only appropriate to produce a special bottling for the Homecoming Year 2009. The rarity of the liquid is a fitting commemoration to Scotland's famous poet. 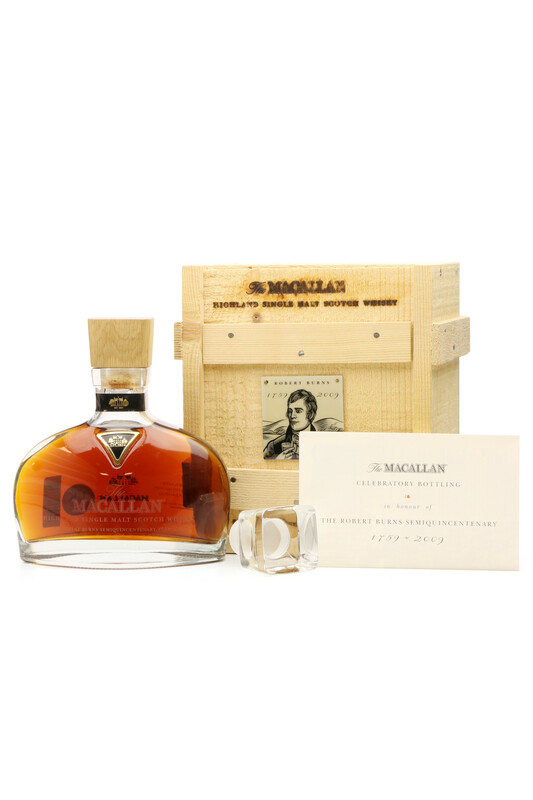 The whisky, which is a sherry oak expression with an ABV of 46 per cent, has been placed in a decanter made to an original design, based on the head and shoulders of The Macallan standard bottle. 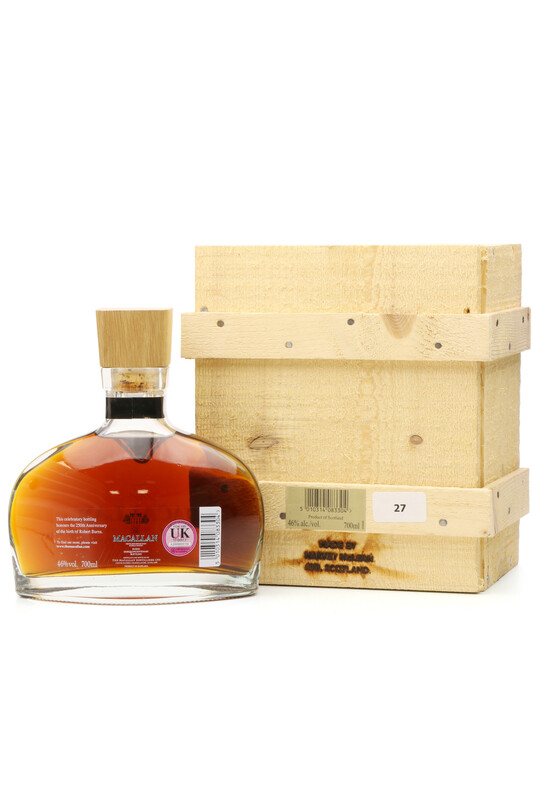 It's exquisitely packaged in a handmade Scottish red pine wooden box designed by master cabinet maker Harvey McLean, whose workshop is only a few hundred yards from Burns's birthplace in Alloway. Please Note: These bottles come UNSEALED from Macallan.